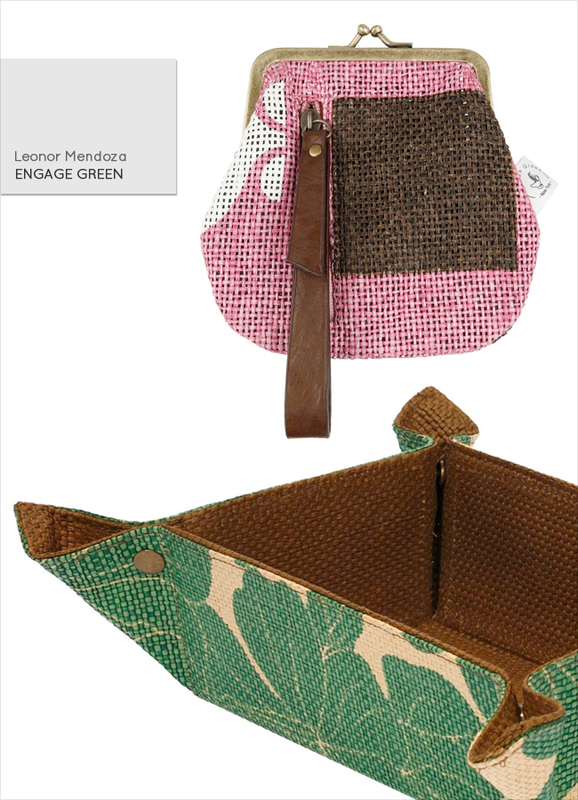 I CANNOT wait to meet Leonor Mendoza, the artist behind and founder of Engage Green at the next New York International Gift Fair and see this gorgeous line in person!! All of their pouches and trays are made out of woven recycled paper. Water resistant, biodegradable and looks so freakin' good!! (I almost forgot to say affordable!) Right? ooh....these are beautiful! I can't wait to see more! Those are beautiful. The fact that they are made from woven recycled paper make them all the more wonderful. Do post an update after you attend-I'd love to hear and see what other goodies you got to see up close. These are adorable! A shining example of upcycling and finding the beauty in everything!